Skin is an excellent indicator of the One’s Health and mental well being and also reflects one’s living Environment and Lifestyle. As we age, our skin changes with the indications of aging and predictable symptoms like Wrinkles, Fine lines, Crow’s feet and Age spots starts appearing. 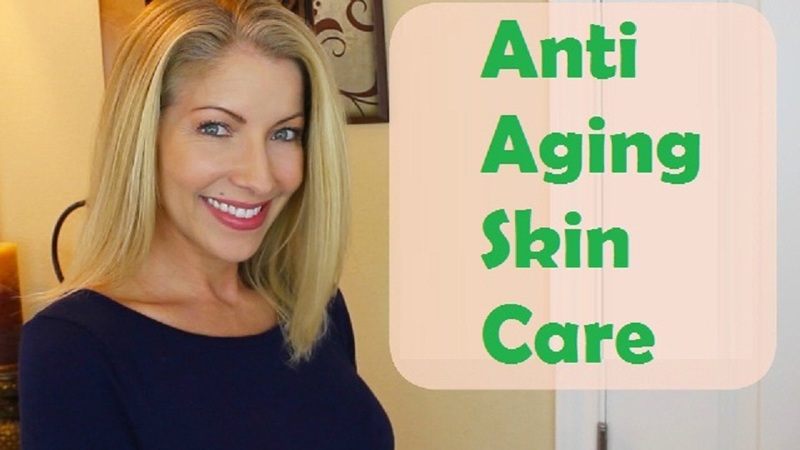 To prevent these early ageing symptoms a proper anti aging skin care regimen is must. Here is some useful information which will help you understand skin ageing process and enable you to fight some of its early ageing signs. The two important factors should be kept in mind that are: Physiological aging and Photo aging. Physiological aging is the natural and irreversible process of aging, controlled by one’s genes. Photo aging is premature aging caused by exposure to UVA Rays of Sun. Photo aging results in Freckles, Age spots, Spider veins on the face, Rough and leathery skin, Fine wrinkles that disappear when stretched, Loose skin and a blotchy, uneven complexion. Other Factors that are responsible for aging are Stress, Diet, Environmental Pollution, Smoking, Improper Cleansing techniques and Harsh Cosmetics. The cell renewal process of the skin slows down as we age, with less blood circulation and oxygen delivered to skin cells. Aging is inevitable but Photo Aging can be delayed by taking few significant steps in one’s lifestyle and Skincare routine. Also avoid stepping out in sun during noon hours from 12 to 3, when the sun is harshest. Quit smoking if you do. Smoking speeds up the aging process by 4 times. Do not Rub your skin, rubbing uselessly can make skin lose and saggy. Moisturize thrice a day, First thing in morning after cleansing and before applying Make-up, Evening after 5-6 hours after first application and at night after removing Make-up before sleeping. Dry skin is the first step that leads to premature aging, If you have Dry skin, you should take care of your skin or it will age faster than other two skin types. Normal skin has moderate and dependent aging process, If a healthy and balanced Lifestyle is maintained, one can slow down the premature aging process. If you have oily skin, you’re blessed because Oily skin has slow aging process because the cell renewal process is faster than the other two skin types. Anti-Aging creams are not to be misunderstood with Heavy moisturizers with the concept that Heavy miniaturization will provide skin with enough Moisture to prevent aging. Anti-Aging creams contain active ingredients like Retinol, Alpha Hydroxy Acids, Vitamin C and UVA radiation blocker. These ingredients are known for speeding up the Skin’s natural cell renewal process while UVA radiation blocker works as a shield for skin. A Particular age group of 30-40’s is preferable to speed up the cell renewal process. Age Preventive skin creams are a bit high in moisture and also known as corrective creams. This is preferable for age group of 20-30’s when skin is already in its youth but need proper moisture care and cure for appearing fine lines. In the 20’s the skin is at its peak and perfect time to start looking for better skincare to prevent aging and Corrective creams makes the best foundation for that. Include Fish in your diet that is high in omega-3 fatty acids. Cut down on the intake of Coffee, Tea, Aerated drinks and saturated fats. Avoid smoking or smoke filled environment. Protect your skin from Photo Aging or UVA Radiation. Combine the Juice, Honey and add soda. Blend with a fork till soda is dissolved. Apply this mixture with a cotton ball or bleach brush on your face and neck avoided eye and lip contour. Leave on for 15-20 minutes and wash off with lukewarm water. Carrot is rich in anti-oxidants and beta carotene that helps reduce the visibility of Fine lines and wrinkles. Honey moisturizes skin and makes it supple and radiant while baking soda helps get rid of the dead cells and speed up the cell renewal process. You can use this mask thrice a week or every alternate day from your 20’s. Combine both the ingredients and form a smooth, creamy mixture. Apply a layer on face and neck and leave on for 20-25 minutes, if you have Dry skin and 10 minutes for Oily skin. Wash off by massaging it into skin. Peach is wonder fruit with vitamins and minerals while cream moisturizes and hydrates skin well. You can substitute any fruit pulp(except citrus fruits) and make masks like this one. Habits like Excess rubbing of Facial skin, Using Harsh Chemical based skin products, Wrong cleansing techniques or applying techniques can force skin to lose its elasticity. Do not rub sensitive areas around your eyes and lips vigorously. If you have to apply lip balm or eye cream use your ring finger to do so. Ring finger applies least pressure of those other fingers. Never use Products meant for Dry skin for Oily skin or likewise. It may accelerate or decelerate the sebum production thus making your skin excessively dry. While cleansing, applying makeup or removing makeup or face masks always make sure you clean it from inwards to Outwards direction and not outwards to Inwards. Raise your Eyebrows as high as possible and lower them abruptly. Do this 10 times in Morning and Evening. Blink as fast as you can for 10 times per day. Roll your eyes in all direction and sleep with eye pads dipped in rosewater for 10 minutes each day. Relaxation of eyes will help in preventing wrinkles, fine lines and crow’s feet around eye contour. With these effective simple reminders you can definitely slow down the aging process with Balanced, Healthy Lifestyle, Habits and Lotions and potions.